Little Ones’ theme-based curriculum follows the Creative Curriculum guidelines and promotes achievement by encouraging exploration and experimentation within a play and social environment. 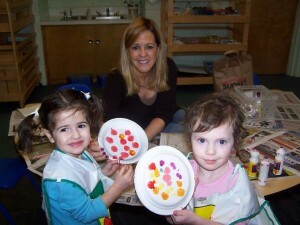 The curriculum integrates the benchmarks of the Illinois Early Learning and Development Standards. Activities support development in all learning areas/domains, which include Language Arts, Mathematics, Science and Technology, Social Studies, Physical Development and Health, Cognitive Development, Literacy, The Arts and Social/Emotional Development. 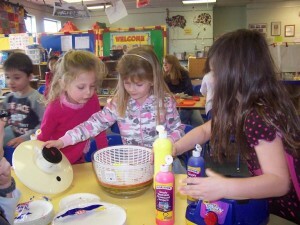 Children are also encouraged to make choices and to problem solve on their own – skills fundamental for future success. Classrooms are designed to encourage development through the careful placement of Learning Centers – areas equipped and organized to stimulate socialization, exploration and the development of specific skills. The curriculum at Little Ones exposes children to a variety of cultural experiences that encourage the development of values such as respect for diversity, giving, sharing and learning to be good friends. 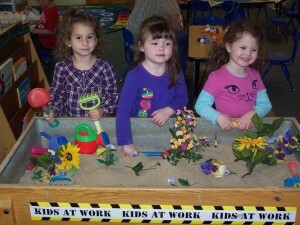 Children also hold small “jobs” in class, such as snack helpers, flag holders, door holder, line leader and line caboose. Children learn about responsibility and taking turns and how to recognize their names and other children’s names by referring to the job board. Little Ones has an extensive children’s library supplemented every month by fresh editions from the Northbrook Public Library. Books are available in each class so children can peruse at their leisure. Special community helper visitors come to Little Ones during the year to teach the children about their occupations, as well as about safety, health and the outside world.